COPENHAGEN, February 17, 2017 (EIRNS) — They came from around the world. They came bearing gifts. Not gifts you could touch with your hands. But gifts that touched your soul. Gifts of beautiful music, and beautiful dance. 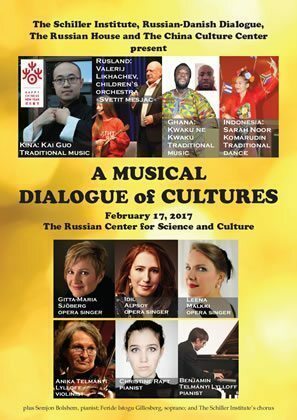 The dialogue of cultures between the sponsors of the concert, itself, led to the great success – The Schiller Institute, The Russian-Danish Dialogue organization, The Russian House in Copenhagen, and the China Culture Center of the Chinese Embassy (about to open, which also provided intermission food). 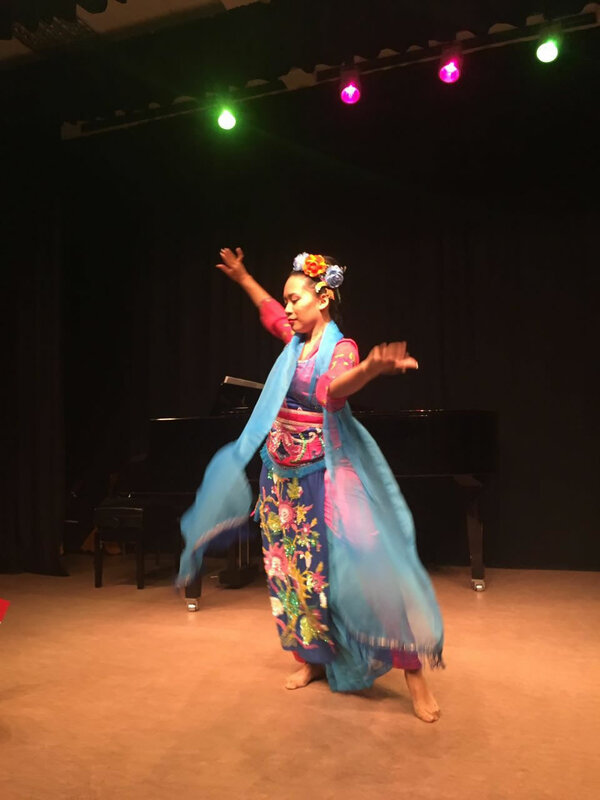 And the concert was held in The Russian Center for Science and Culture, representing the Federal agency for the Commonwealth of the Independent States (of the former Soviet Union), compatriots living abroad and the international humanitarian cooperation (Rossotrudichestvo). 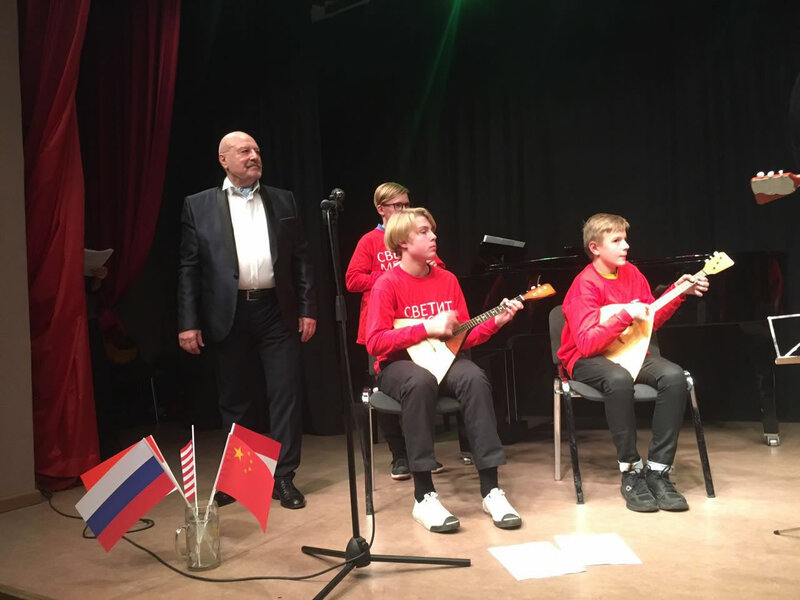 From Russia came children playing Russian folk songs on balalaikas, (the “Svetit Mesjac” (The Moon is Shining) ensemble from The Russian House, conducted by Igor Panich), including Katjusha, with soloist Valerij Likhachev (left), baritone, who has sung on 200 stages. 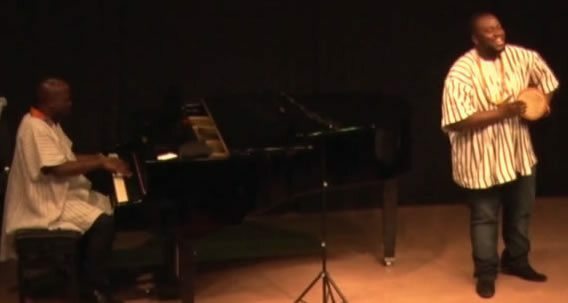 He also later performed Leperello’s list aria, from the opera Don Giovanni by Mozart, and Mephistopheles’ couplets, from Gounod’s opera Faust, together with his pianist Semjon Bolshem. 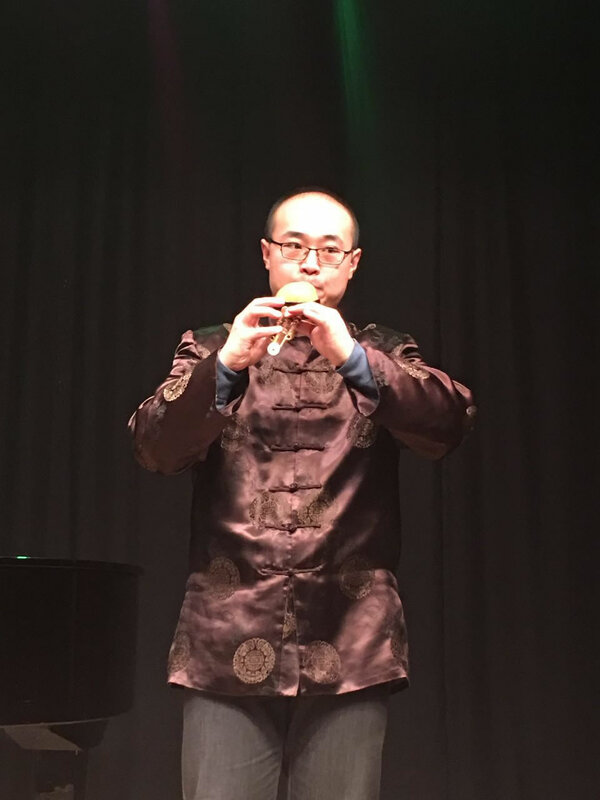 From China’s Mongolia came a very musical young science student, Kai Guo, who played many flutes, and charmingly sang the Kangding Chinese love song, as a duet, with Feride Istogu Gillesberg from The Schiller Institute. He, and his mother Anika, poignantly played Beethoven’s Romance for violin and piano, continuing the legacy bequeathed by their ancestor from Hungary, the violin soloist Emil Telmányi Lylloff. Fred Kwaku (piano) and Isaac Kwaku (singing, with a drum).